In addition to handling fraud and arson matters, our attorneys participate in seminars and conferences to discuss investigation and examination techniques. Suspected fraud and arson cases are among the first party cases Brinker & Doyen, L.L.P., handles for its carrier clients. Clients ask for our assistance during the claims stage in both first party and third party claims. The special investigative units of our carrier clients ask us to conduct examinations under oath, which are an extremely useful tool in developing details in the investigation of claims made on policies of all types, including automobile, residential and commercial policies. We have conducted examinations under oath in claims arising out of vehicle thefts and fires, residential and commercial building thefts and fires, lost or stolen jewelry, and hail and flood claims. Our assignments include investigations where fraud on the application is suspected. One such claim involved extensive flood damage to a house as a result of a pipe bursting. The insured had been staying elsewhere for a prolonged period of time during which the loss originally occurred. We were asked to conduct the insured’s examination under oath when the carrier’s investigation suggested that the insured had purchased the insurance immediately after discovering the loss. Sometimes we are asked to assist with first party claims where the alleged fraud is by someone without the insured’s knowledge. A recent examination under oath in a hail damage claim revealed that a roofing contractor without the insured’s knowledge had damaged the insured’s roof with a hammer in an apparent attempt to get additional work. In some of the claims assigned to us, the insureds may have made material misrepresentations or concealed information after the date of loss for losses otherwise covered under the policy. These claims often involve the insured’s efforts to enhance the value of the claim such as submitting a padded inventory or fraudulent receipts, or misrepresenting the age or condition of property involved in the loss. Our clients also ask us to assist in the investigation of third party claims where suspected fraud or irregularities are seen. These include accidents involving alleged phantom vehicles, staged accidents, and accidents where persons claim to have been occupants of a vehicle when in fact they were not. Our attorneys also have experience investigating pill mills or other fraudulent healthcare practices such as taking baseline depositions from suspected treating physicians in bodily injury lawsuits. We frequently are called for opinions on claims handling, coverage and investigation, and have assisted clients in responding to complaints filed with the Department of Insurance. If litigation results, we have defended cases in state and federal courts, including extra contractual claims for vexatious refusal or delay. 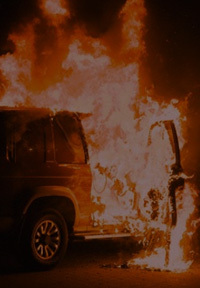 We are proficient at presenting evidence of technical, key aspects of such lawsuits, including the incendiary origin of fires, the lack of forced entry on a vehicle or building, and/or the improbability that a particular claim occurred the way it was reported. We work with our clients in finding experts with appropriate backgrounds in areas of concentration/expertise to help us with presenting the more technical aspects of a defense. We defend these cases to a conclusion and through the appellate process if necessary. Based on our broad experience in handling fraud and arson matters, our clients have asked us to participate in seminars and conferences to discuss investigation techniques, examinations under oath, dealing with public adjusters, and the general handling of fraud cases. In some instances, our carrier clients have asked us to take steps to recover payments made to insureds under false pretenses.